Are you looking for a great way to welcome a new baby boy into this world? 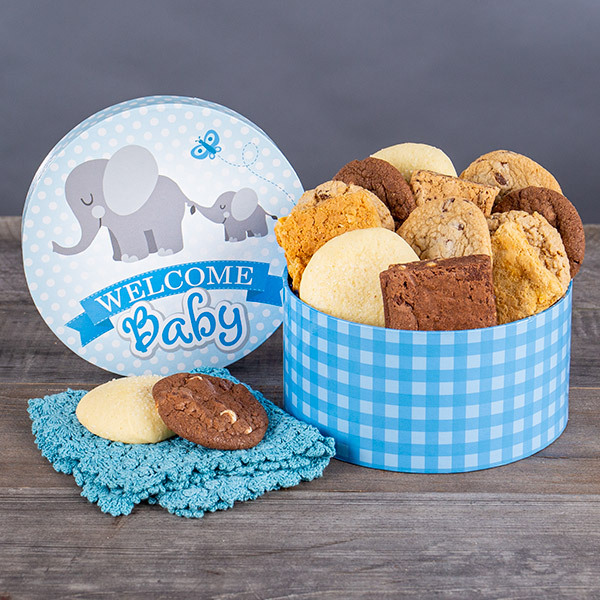 Look no further than this delicious Welcome Baby Boy Cookie & Brownie Gift Box! We’ve taken the finest baked goods we could get our hands on and packed them into a gorgeous container that is the perfect to welcome a baby boy! Treats such as chocolate chunk brownie, peanut butter brownie, and chocolate chip blondie and cookies will definitely make the new parents smile.